The pre painted aluminium sheet 1060 3003 3004 3105 5052 is processed by coated with organic coatings, baked, etc., which makes it have good corrosion resistance. At the same time, because of its rich color, it is widely used in many industries. What are its main uses ? 1. 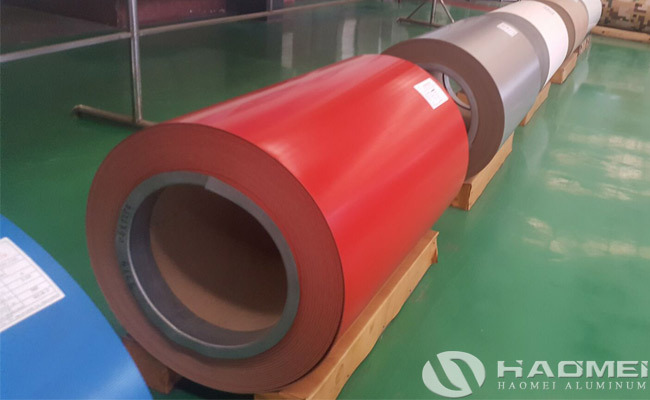 The color coated aluminium sheet roll has light weight, beautiful appearance and good anti-corrosion performance, and can be directly processed. The color is generally divided into gray, sea blue and brick red, which are mainly used in advertising, construction, home appliance industry, electrical appliance industry, furniture industry and the transportation industry. Construction industry: mainly for outdoor applications such as roofs, roof structures, rolling doors, kiosks, blinds, guard gates, street waiting rooms, air ducts, etc. Electrical appliances: refrigerators, air conditioners, electronic stoves, washing machine casings, oil furnaces, etc. Transportation: car ceilings, back panels, coamings, car casings, tractors, ship bays, etc. 2. The coating used for pre painted aluminium sheet is selected according to the use environment, such as polyester, polyvinyl chloride plastisol, polyvinylidene chloride and so on. Users can choose according to their purpose.